I read a saying recently that says, “There are two times of year, autumn and waiting for autumn.” Each season has its lovely assets but autumn is full of cooler temperatures, colorful foliage and favorite food flavors. 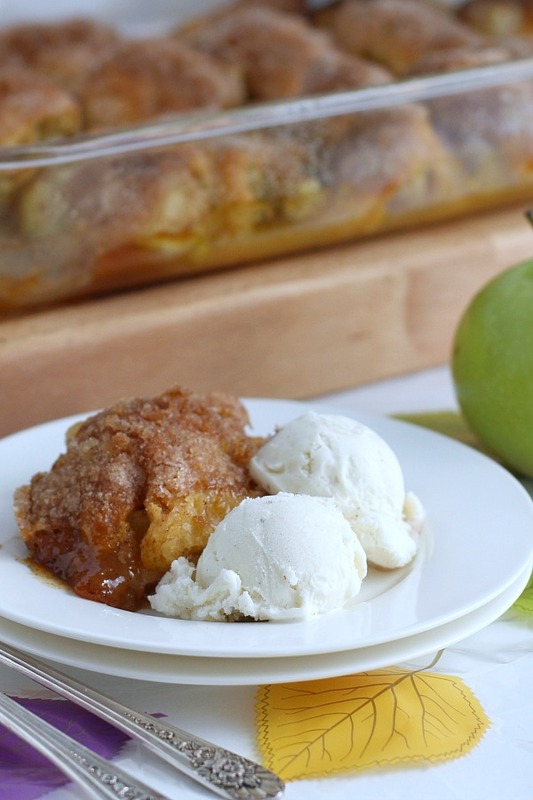 Apples are abundant and ways to eat them even more so. 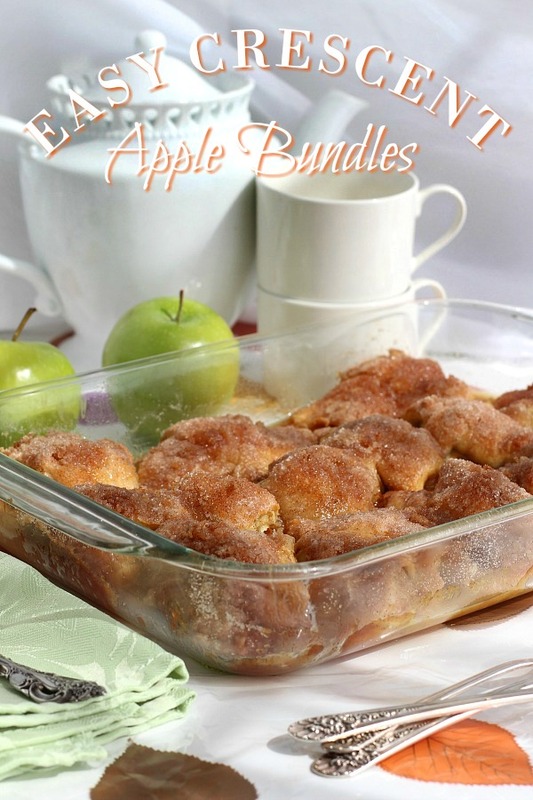 Apple Bundles is a very easy recipe that is delicious and makes the house smell amazing. 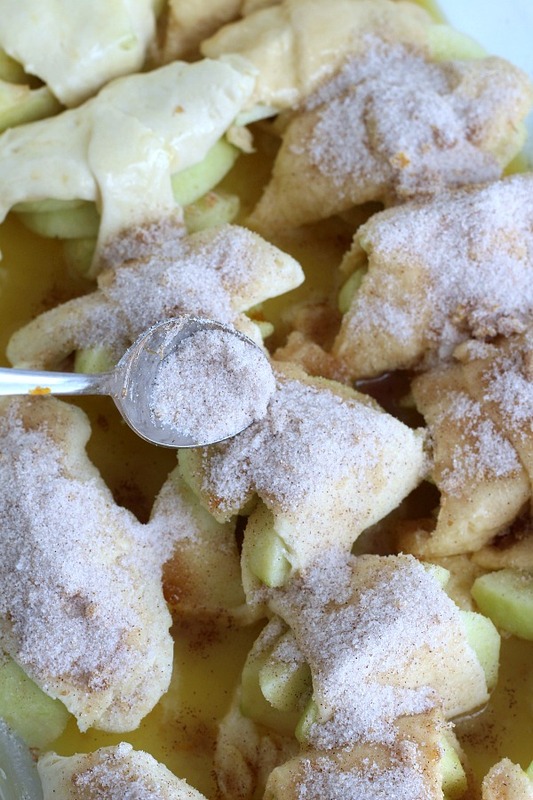 Super easy recipe for autumns favorite fruit, Apple Bundles are made with crescent rolls, cinnamon with a hint of orange. 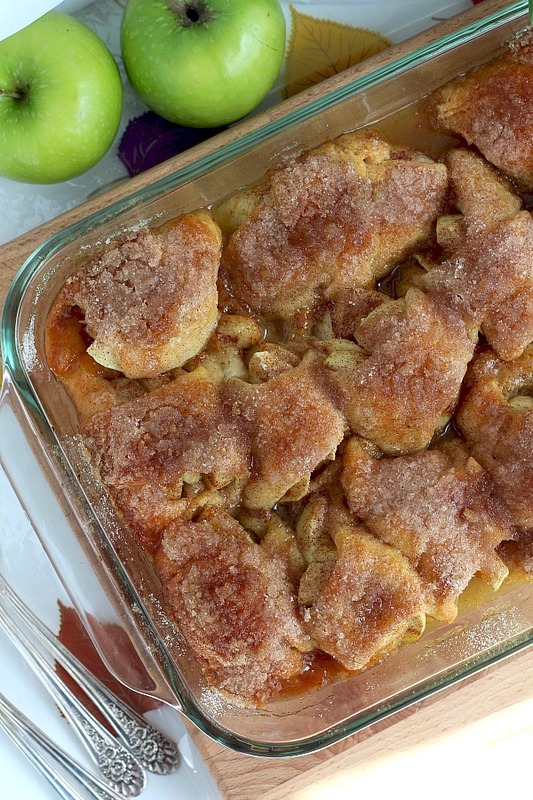 They smell heavenly and are perfect warm from the oven with a scoop of ice cream. 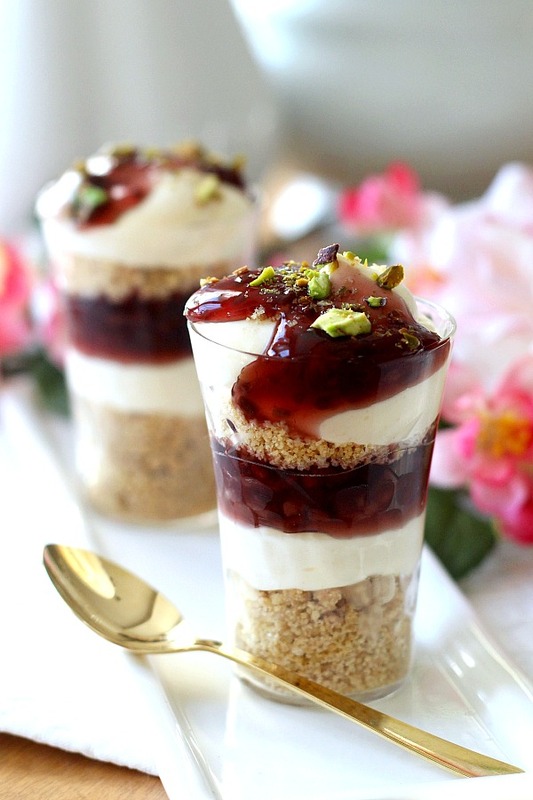 Here is all you need to make this recipe. Peel the apples and core them. A melon baller works well and scoops the core out with just a twist. 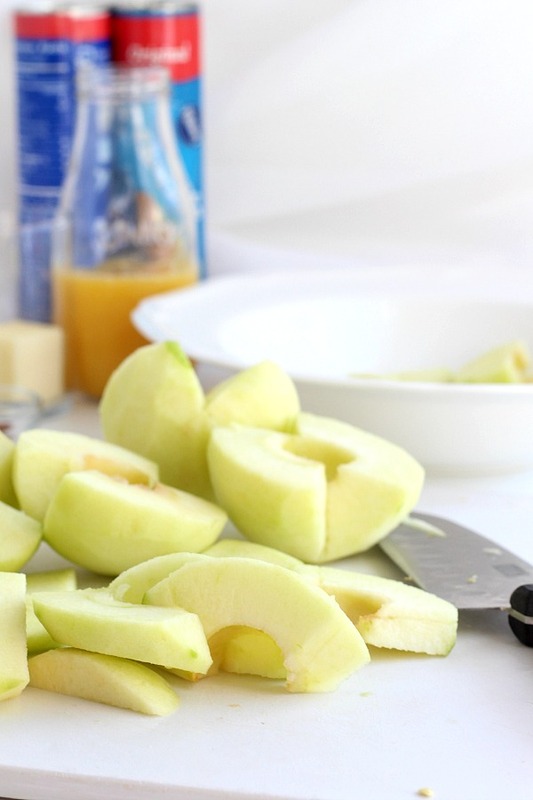 Cut the apples into slices. Open the crescent roll dough and unroll. Separate at perforations to form wedges. 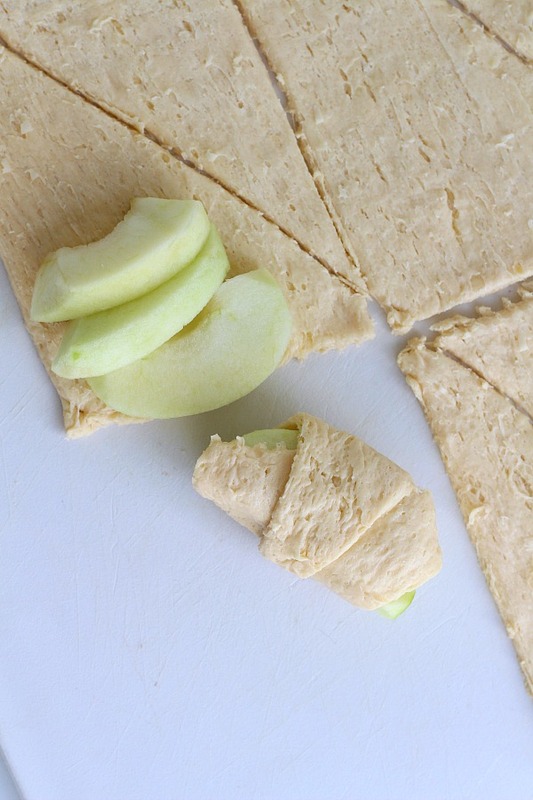 Place 3-4 apple slices at the end of each piece of dough and roll up. 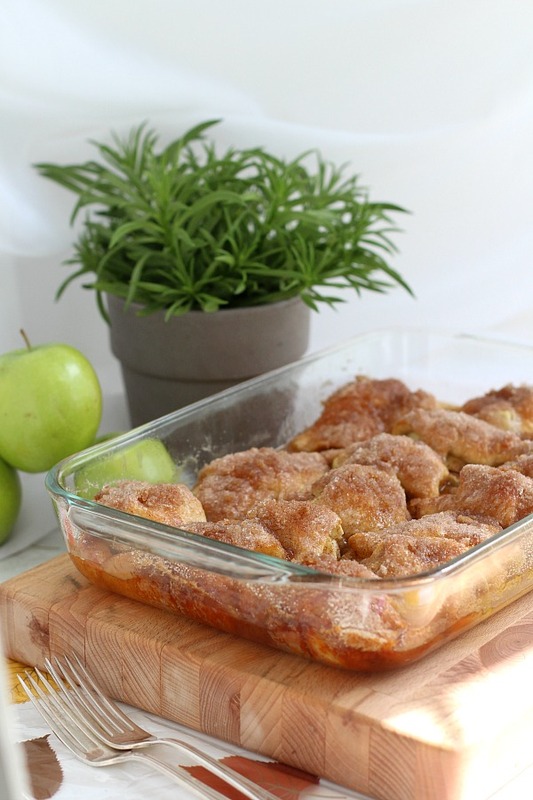 Arrange bundles in a sprayed 9×13-inch baking dish. 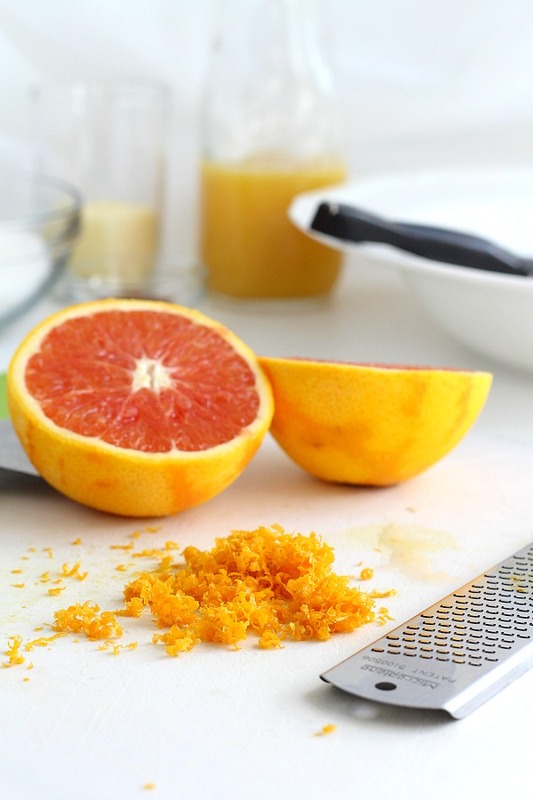 Zest the orange to measure 1 teaspoon; set aside. 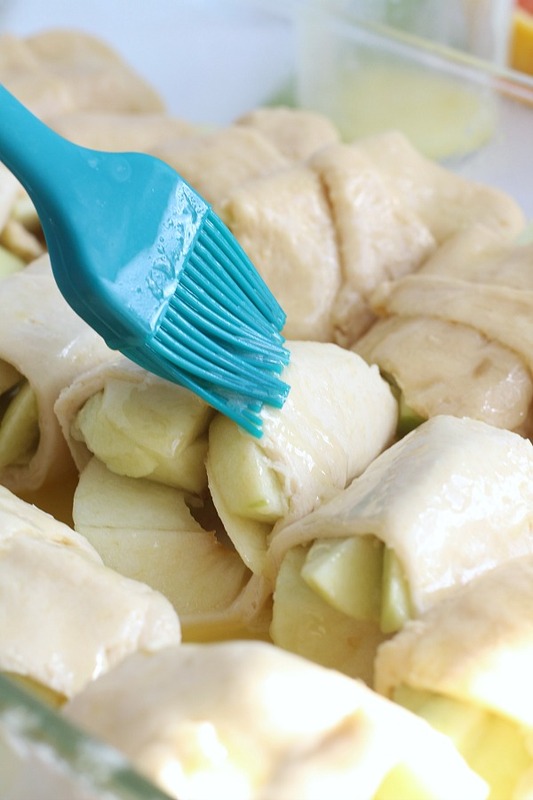 Pour the juice into the bottom of baking dish, but not over bundles. Brush melted butter over bundles. 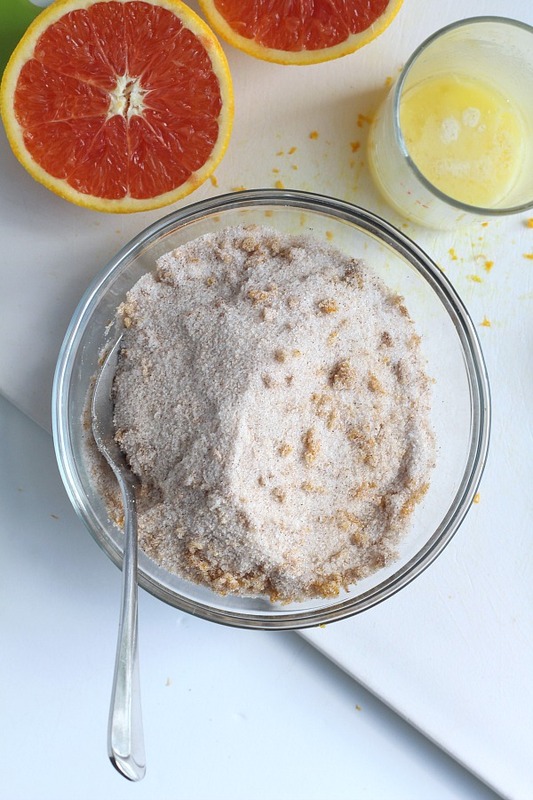 Add orange zest, sugar and cinnamon together in a small bowl. Sprinkle cinnamon sugar mixture over bundles. 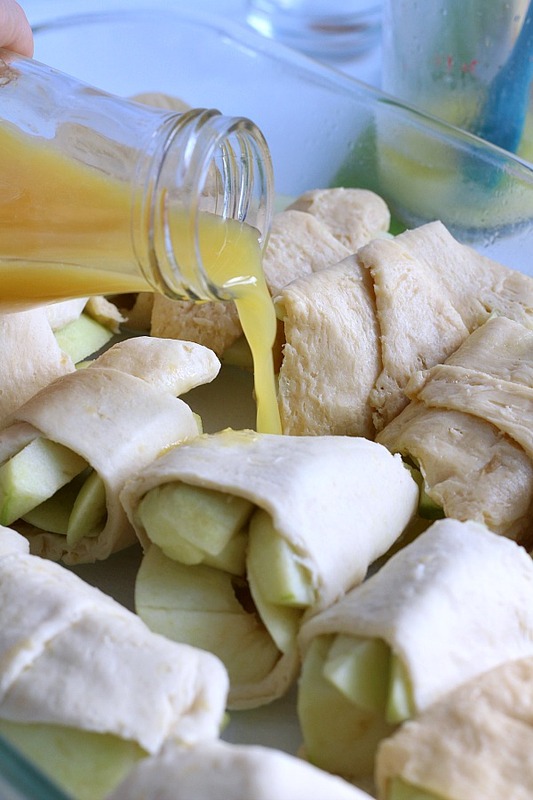 Bake apple bundles 25-30 minutes or until golden brown. Preheat oven to 375 degrees. 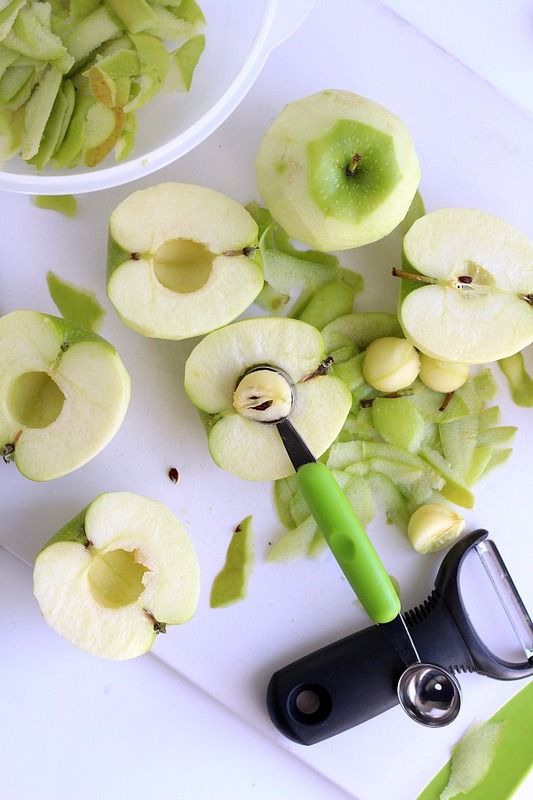 Peel, core and slice apples; cut apples in into slices. Unroll dough; separate at perforations to form 16 wedges. 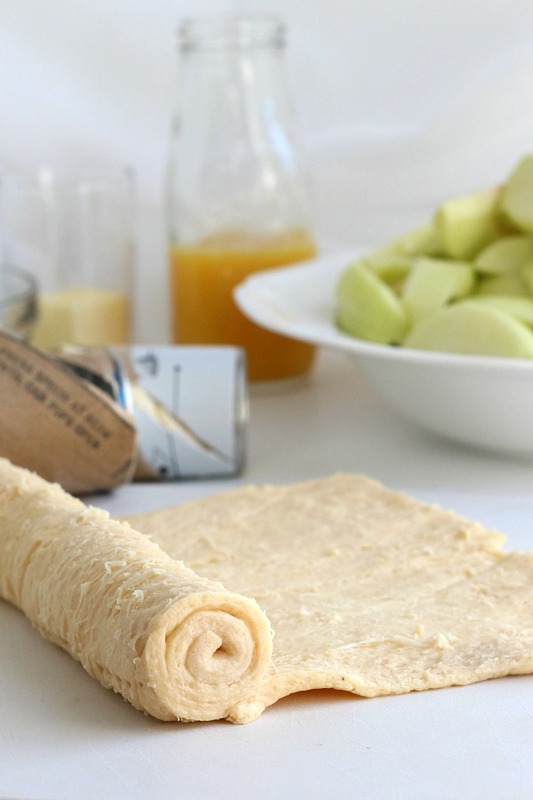 Place 3-4 apple slices at the end of each piece of dough and roll up. 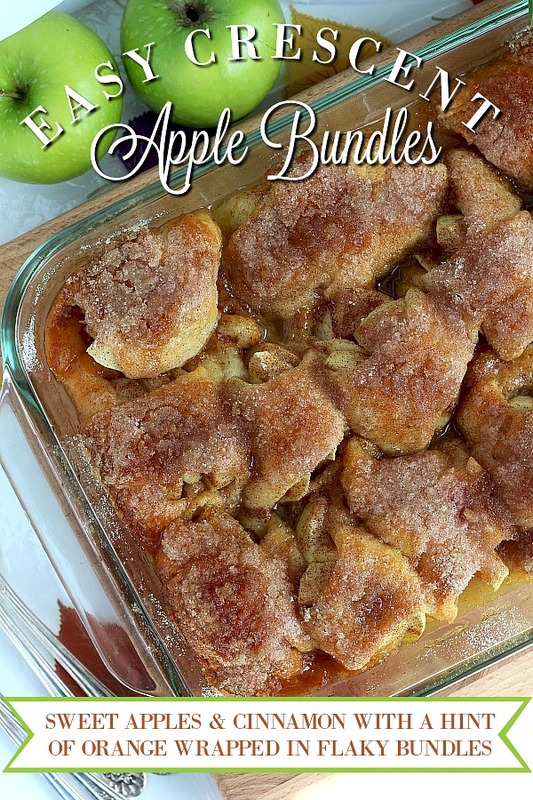 Arrange bundles in a sprayed 9×13-inch baking dish. Zest the oranges to measure 2 teaspoons; set aside. 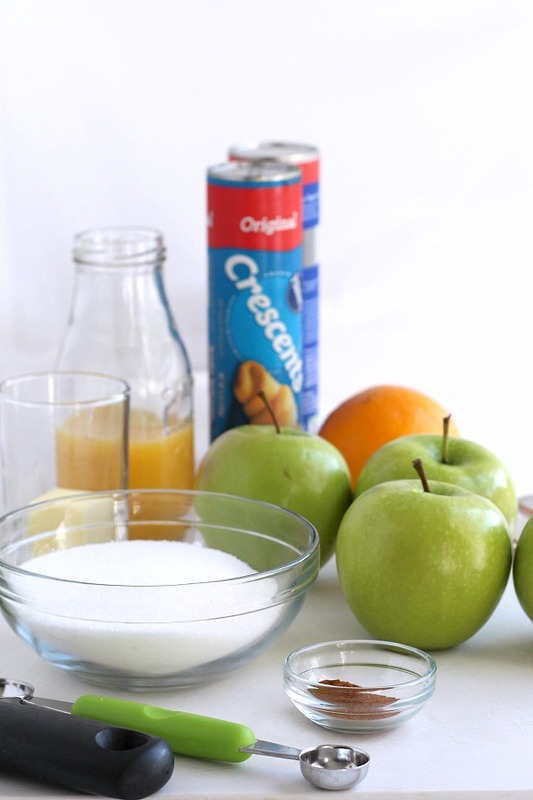 Juice the orange to measure 2/3 cup juice; pour the juice into the bottom of baking dish, but not over bundles. Brush melted butter over bundles. 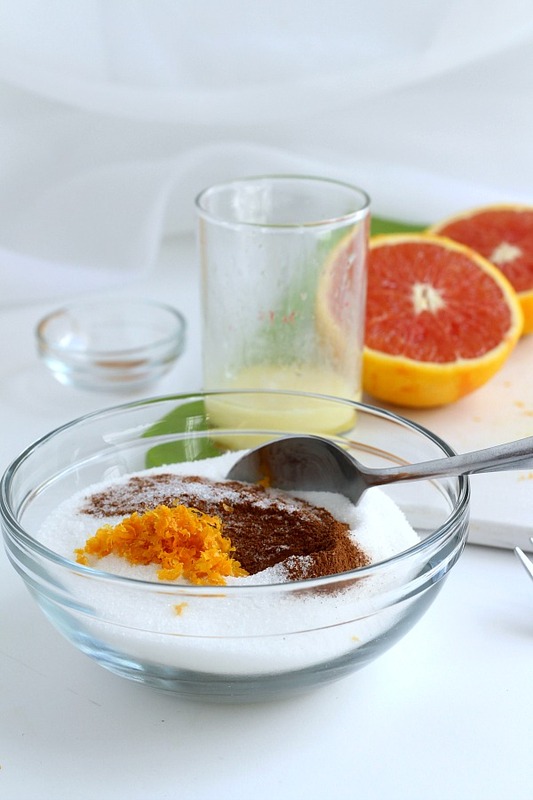 Mix orange zest, sugar and cinnamon together in a small bowl, sprinkle over bundles. Bake 25-30 minutes or until golden brown. If you want to make smaller bundles, cut each if the wedges in half beginning at the point. Use 2-4 apples per bundle and proceed in the same manner as above. Baking time is the same. These look amazing. I can almost smell how heavenly they are coming out of the oven.